Upheaval continues at NBC Sports Philadelphia, formerly known as Comcast SportsNet. 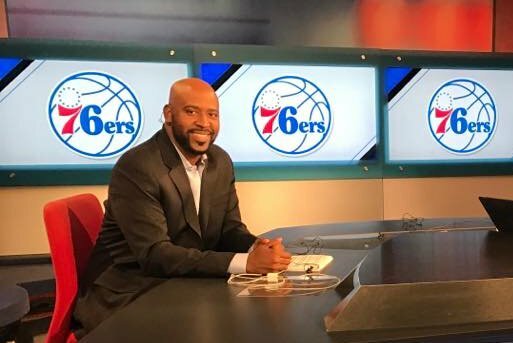 On Friday afternoon, the local sports network confirmed to PhillyVoice that Marshall Harris is leaving but company officials would not provide details on the circumstances of his departure, including when Harris' last day would be. The news of Harris' departure from NBC Sports Philly initially was buried in a Philadelphia Business Journal story about the network's plan to streaming Phillies games this season. A single line stated anchor Marshall Harris, who has been with the station for 10 years, is leaving the network. “We thank Marshall for his contributions to our networks, and wish him the best," a network official said in a statement emailed Friday. Harris' Twitter bio still said he was employed by the company, Friday afternoon. He did respond to a tweet that linked to a Crossing Broad story about his departure, although he didn't say anything about the news. Harris noticeably was absent from a Thursday press release from the network about its coverage of the upcoming Phillies season. Harris had hosted pre-and post-game shows as of last season. The news comes after more than a year of personnel moves at a network that has made efforts to rebrand itself. NBC Sports parted with longtime reporters Dei Lynam, who covered the Sixers, and Tim Panaccio, who covered the Flyers, last June. Anchor Ron Burke also left the network last January. Other personalities and reporters, such as John Gonzalez, Sarah Baicker and Jillian Mele, have left on their own accord in the last two years to pursue other opportunities. Again, it's still unclear what led to Harris' departure, and if the move precedes more changes coming to NBC Sports.